Recently I read this nice paper from the Fürstner group which reminds of a publication of Baran et al. (http://dx.doi.org/10.1021/jo1006812). The compounds made are not new at all but the chemistry is really neat and the group’s syntheses are close to Baran’s definition of the ideal synthesis. 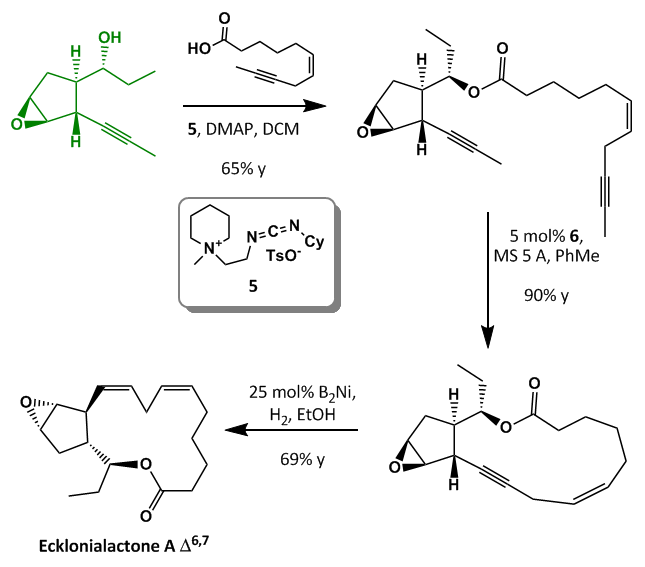 The family of the Ecklonialactones contains a lot of members and formal syntheses are described starting from Ecklonialctone A and B. As you probably can imagine the compounds are ideal targets for some metathesis chemistry as could be expected from the Fürstner group. Starting with commercially available lactone a rhodium catalyzed enantioselective addition sets the first stereocenter which was used to build up the remaining four. Enolization /allylation was followed by Weinreb amide formation which set the stage for a RCM using a rather unusual catalyst developed by the Fürstner group. Oxidation of the alcohol furnished the required aldehyde handle. 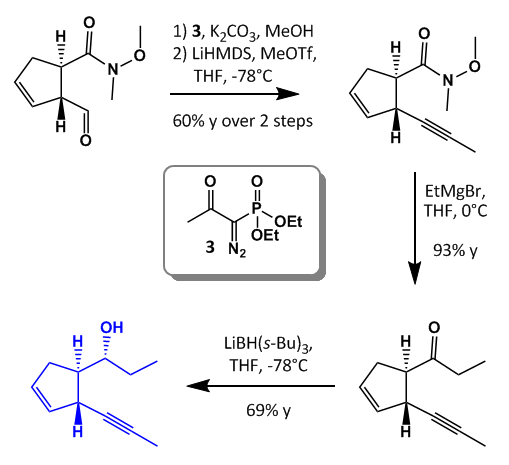 Ohira-Bestmann alkyne formation and methylation was followed by Grignard addition of ethylmagnesiuim bromide on the Weinreb amide and stereoselective reduction using L-Selectride. 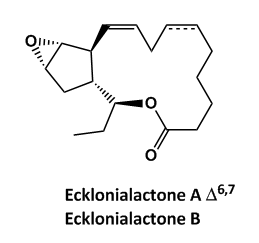 With the blue fragment in hand the group explored two different strategies towards the Ecklonialoactones. 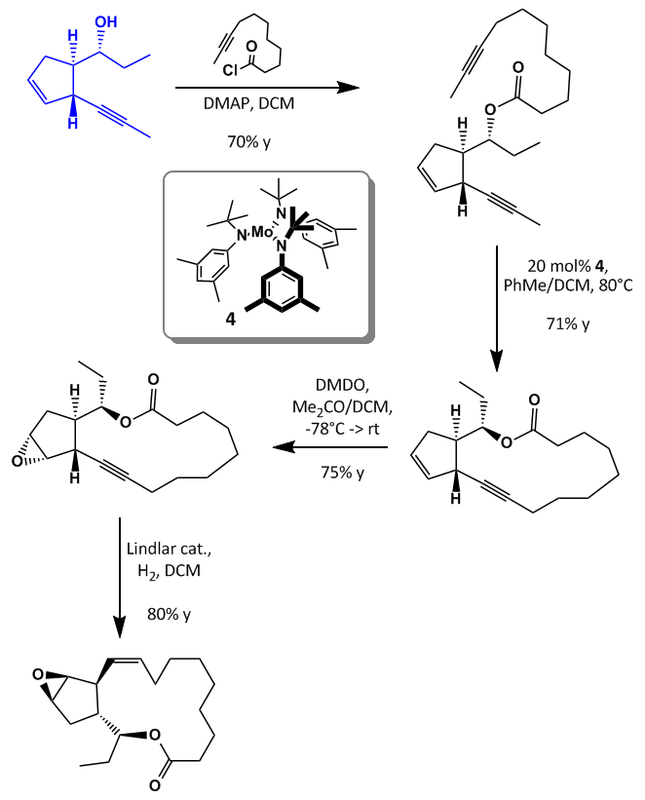 Ester formation under standard conditions formed the bisalkyne which was closed by employing a molybdenum catalyst which was activated in situ with DCM. Substrate directed epoxidation and hydrogenation with Lindlar’s catalyst produced mainly the wrong enantiomer so the strategy was rethought. The second approach forms the epoxide before closing the ring. 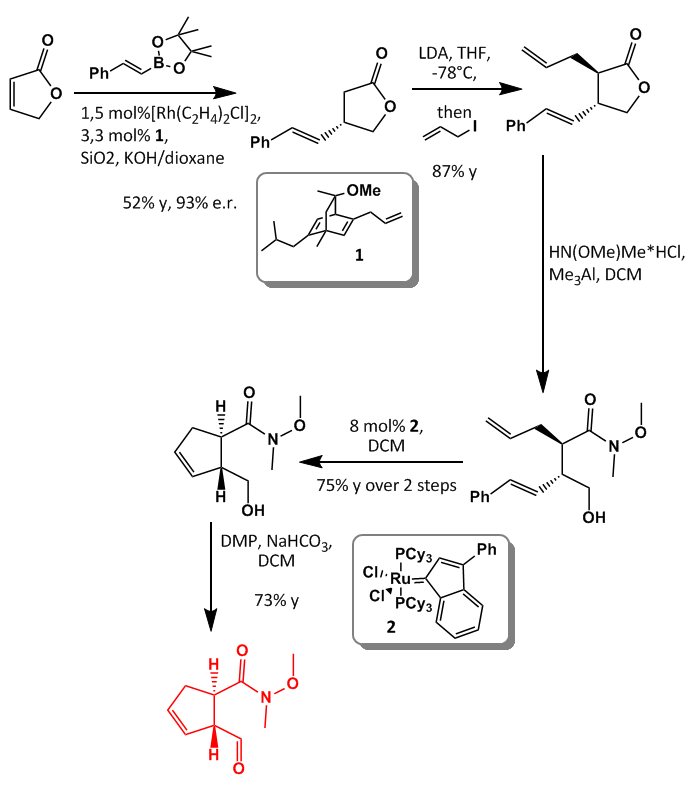 This time alcohol directed epoxidation gave the correct stereochemistry of the oxirane ring. Ester formation was done with some kind of preactivated DCC. 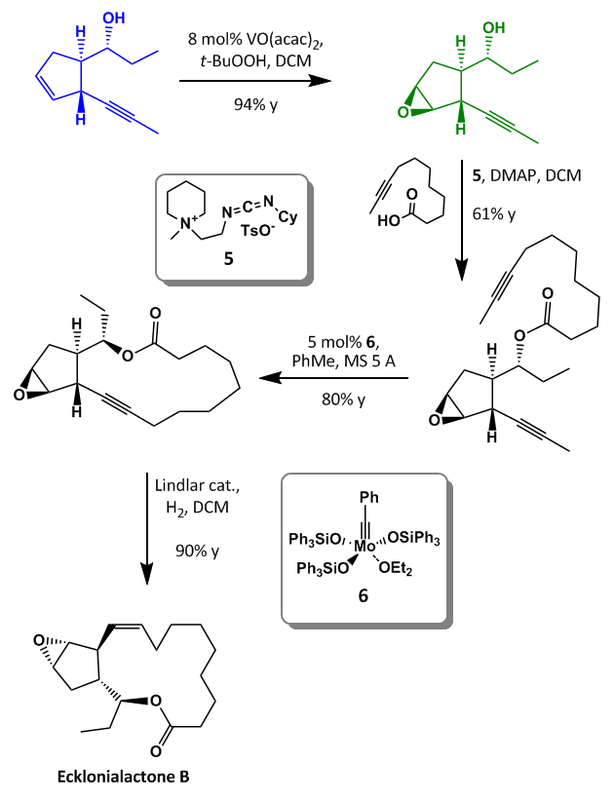 Next RCM was accomplished again with a molybdenum catalyst and followed by hydrogenation to give Ecklonialactone B. Nice chemistry and a lot of odd looking catalysts. If you want to discuss some steps feel free to comment.